Call it a vanity, an essentiality or a mere aesthetic requirement, mirror is enjoying our unhindered affection for over 6000 years. The earliest known mirrors were shiny semi precious stones like obsidian or metallic objects like copper. However, it did not take long for our ancestors to conceive more ingenuous methods of creating mirrors. Some of the most beautifully framed handheld mirrors appear on the Greek vases now preserved in the museums. Quite a few ancient Chinese illustrations and sculptures of India also indicate how highly coveted mirrors were in those days. Early Chinese mirror manufacturers used a silver mercury mixture on a solid surface to create a reflective glass. Venetian glass manufacturers replaced silver with tin. From early 19th century, Justus von Liebig began working with silvered glass mirrors. It quickly became fashionable and with some subtle differences continues to be so till date. Mirrors have long ceased to be a simple object reflecting back our own selves. It is extensively used in interior design to induce an element of glamor in the ambience. When used tactfully large mirrors can create an illusion of expansiveness that serves well in our small apartments and houses. This guide will show you how to buy mirrors that answer your varied requirements. Does this sound a slightly odd question? Isn’t the answer pretty obvious? Well, not exactly. For sure, you may buy a mirror for the obvious reasons of checking your appearance. But there could be other reasons for mirror shopping as well. For example, you wish to decorate a part of your room with mirrors. 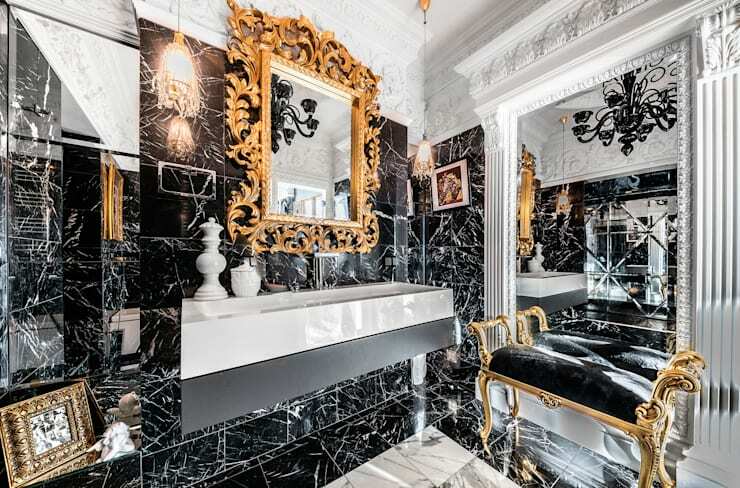 Your bathroom is very small, so you want to make it look roomier by using mirrored walls. This dining room designed by Nash Baker Architects Ltd uses mirrors to embellish its accent wall. It has no functional requirement whatsoever. Each of these considerations will significantly alter your choice of shape, size and type of mirror. So think carefully before your head out mirror shopping. When Arthur Schopenhauer indicated that “for our improvement we need a mirror,” he meant the mirror within ourselves, that is, our soul which knows no bound. But our earthly mirrors strictly require to be in the shape and size of the space they are going to occupy. When used in the dressing room this mirror needs to cover your length plus at least six inches’ area above your head. But the mirror on top of the dresser can afford to be smaller. Similarly mirrors installed on top of the vanity units can be of various sizes depending on your tastes and the availability of space. When a mirror is being used on the corridors you have the liberty of going for unique shapes. On the other hand, while trying to create an illusion of space you will have to cover an entire wall with mirror. If the mirror is installed to serve the purpose for which it is invented and is not a mere decorative object, it is better to opt for a mirror with regular shapes. 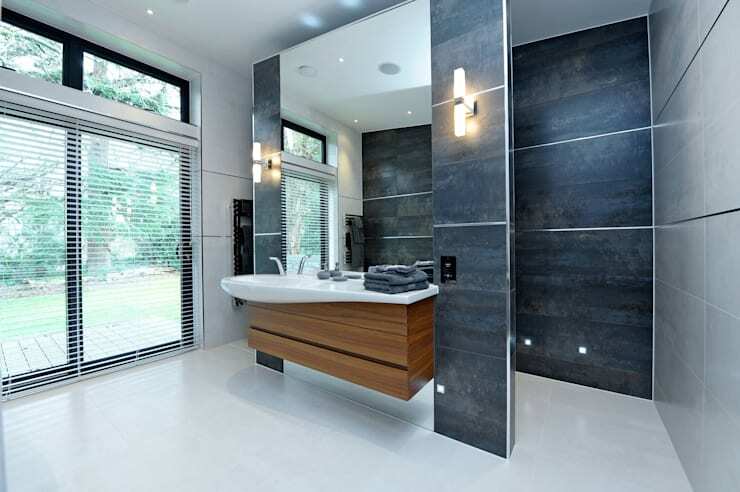 Rectangular or square shaped mirrors are best suited for this. Round and oval shapes can also be purchased for a more stylish look. 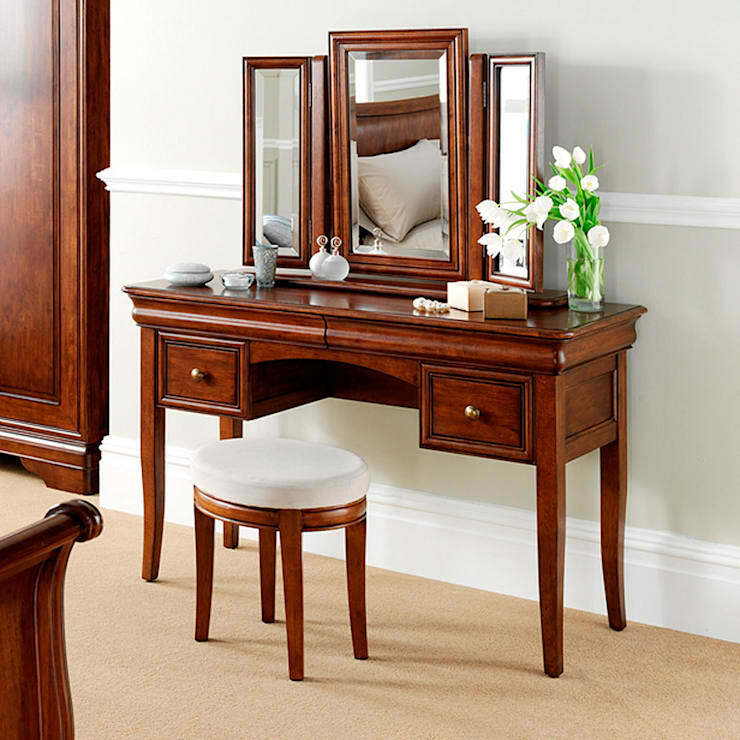 Vanity or table top mirrors mostly possess an oval shape. For mirrors in other parts of the building like hall, corridor, the wall above the mantelpiece etc it is better to go for more unique styles. The choice is hardly limited to the shape of a mirror. Why not think of purchasing a LED halo lighted mirror? If you are thinking of creating a spa style bathroom this ought to be an automatic choice for you. Fog free shower mirror remains clear even under the steamy hot condition of your shower room. It has low voltage heating pad attached behind which helps to return clear and crisp reflections without any haze. Wall mounted swivel mirrors or those with adjustable arms are particularly suited for small apartments. While purchasing a mirror never settle for a low quality glass. Check for the acuteness of the reflection and ensure it is distortion free. Most people use their mirrors for years, if not for decades. So, investing in a good quality mirror is necessary. Many high end mirrors use optical quality glass. Two sided mirrors available in the market give normal reflection on one side and a magnified reflection on the other. For extreme close ups, applying eye make ups etc these mirrors are going to be a perfect choice. Three to five times’ magnification are enough for normal eyesight. People with poorer eye sights may require stronger magnifying power. The beauty of a mirror lies as much as in the choices of glass as the intricacy of the frame. Mirrors with gilded frames and intricate floral motifs are still considered a highly valued possession. Meticulously carved wooden frames give it a gorgeous finish as well. When installed in suitable places these will act like highly prized items of décor. 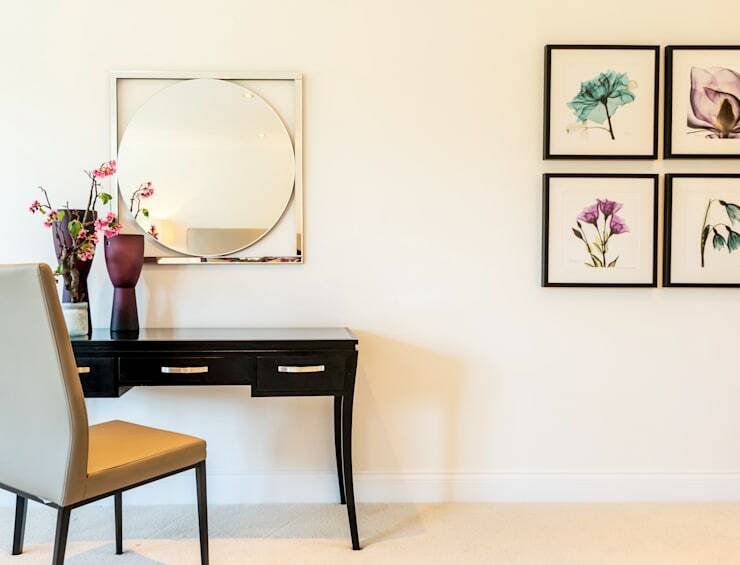 You can also opt for mirrors with Murano glass, clear acrylic, jute, papier-mâché and lacquered frames. 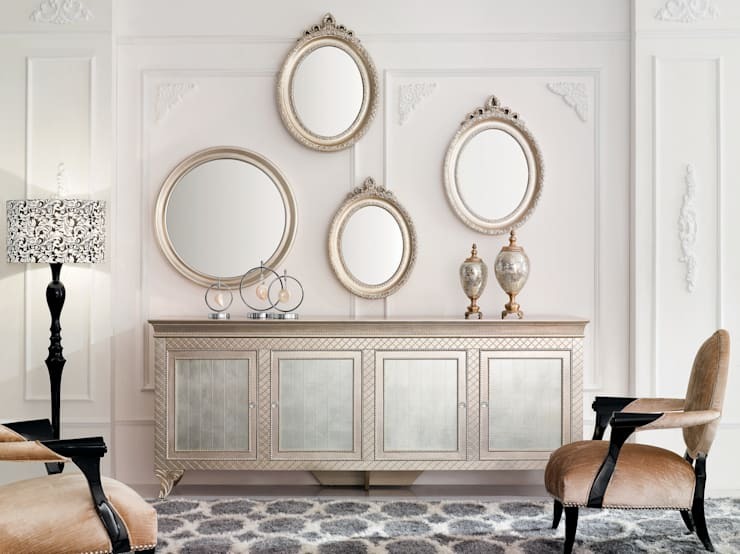 Do keep in mind the existing décor of your room in which this mirror is going to be placed. If using coloured synthetic or painted wood, ensure it complements the colour scheme of your home. For uniquely shaped mirrors you can buy the glass separately and have it framed according to your choice. Going without any frame is also an option that you may be particularly keep on, if you happen to have a house decked up in contemporary style. - Use lint free cloth soaked in warm water to clean the surface of a mirror. Wring out the water from the cloth completely before attempting to remove any dirt with it. - Immediately dry up the surface using another soft lint free cloth. - You can use wet paper towel to clean the surfaces as well. - If you are using any cleaner, do not spray it directly on the mirror, but spray it on the wet cloth instead. - Do not use vinegar or ammonia based products to clean a mirror. - If your mirror is framed in metal or wood, you may require polishing them up from time to time. - Carefully remove the glass from the frame and only then apply any paint or varnish. Gilded frames are better cleaned by professions who can also skilfully reinstate the gold, silver or bronze ornamentations. When followed scrupulously, your mirrors will continue to smile back at you for years.